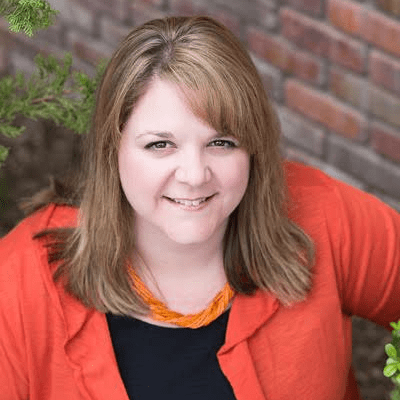 Home » Three Ways to Lighten up for Spring! Three Ways to Lighten up for Spring! The sun is shining, the birds are chirping, flowers are blooming and the grass is growing. It’s Spring! Time to throw open the windows, let the fresh air inside and welcome the season. 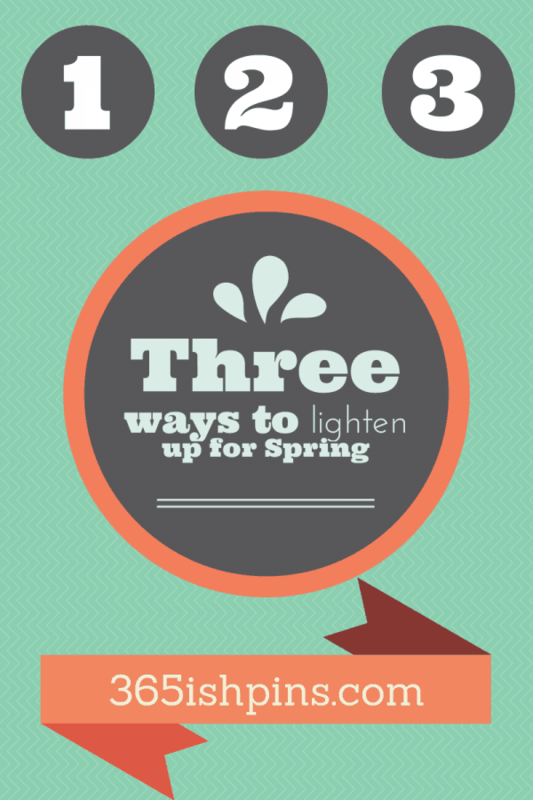 If you feel like you are still trapped in Winter, here are three ways to help you lighten up for Spring. Swap high calorie ingredients for low calorie ones. For example, ground turkey can be substituted for ground beef in so many recipes without affecting the taste at all. We like to use it in tacos, pasta dishes, casseroles and nachos. You can mix ground meat with beans, which will lower the calorie count. You can also mix cauliflower with pasta. Use applesauce in baking instead of oil. There are so many options out there that won’t make you feel like you’re sacrificing flavor! Do your best to get moving. Skip the elevator and take the stairs. Park at the end of the parking lot and walk into the grocery store. Skip the insanely long school pick-up line (the bane of my daily existence) and walk to school. Take the kids for a nature walk scavenger hunt. Get outside! Don’t drink your calories! We all know we should be drinking more water, but if you really want a soda, try switching to the Four Ten Calorie DPSG sodas (Sunkist, 7UP, A&W and Canada Dry.) That can save you hundreds of calories without sacrificing the full flavor. Fewer calories doesn’t have to mean less flavor. 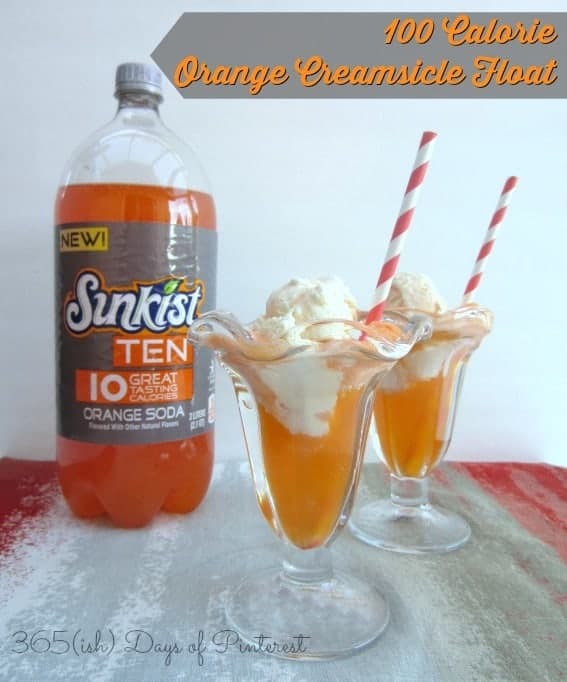 Try making an Orange Creamsicle Float with Sunkist 10 for a tasty dessert that is less than 100 calories! Just scoop 1/2 cup of creamy vanilla ice cream into a glass and pour chilled Sunkist 10 over the top. Ta Da! A taste reminiscent of childhood, full of flavor, but with a fraction of the calories. Right now, you can get this coupon for $.50 off 2 Two liters or 2 four-pack cans of 7UP, Sunkist, A&W or Canada Dry at Walmart. Even better? If you share the coupon (there are options to share via email, Facebook, or Twitter) you will get a coupon for $1.50 off! (offer available while supplies last) For updates and more information about DPSG sodas, follow them on Twitter and Facebook. Cut down on clutter. Get rid of stuff. The less stuff you have, the less stuff you have to deal with! I employ the rule “bag in, bag out.” If I come home with a shopping bag of stuff, I do my best to pack up a bag of things to put in the garage sale box. 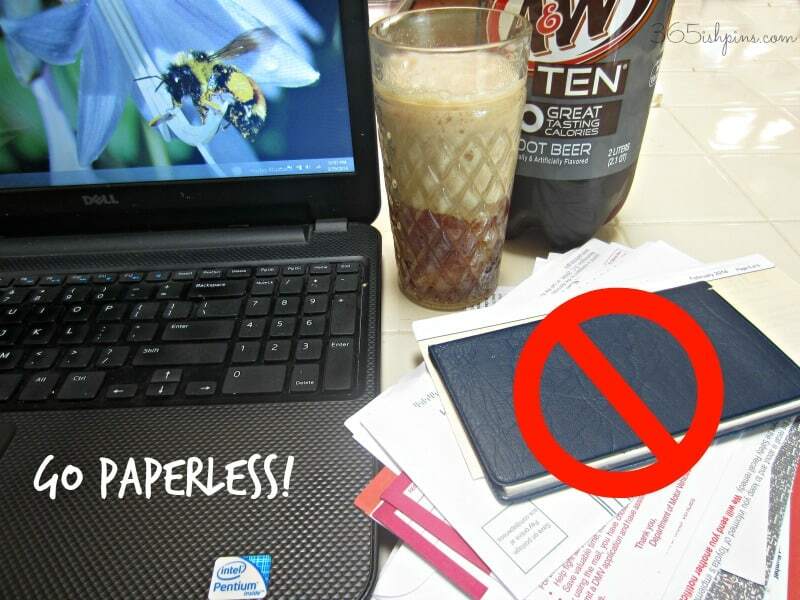 If you haven’t yet, switch to paperless billing. Keep your mailbox happy and the kitchen counters clear! Brighten the color palette around you. Change up your throw pillows. It’s an easy way to add a pop of color to a room without any real commitment. Buy fresh table linens. 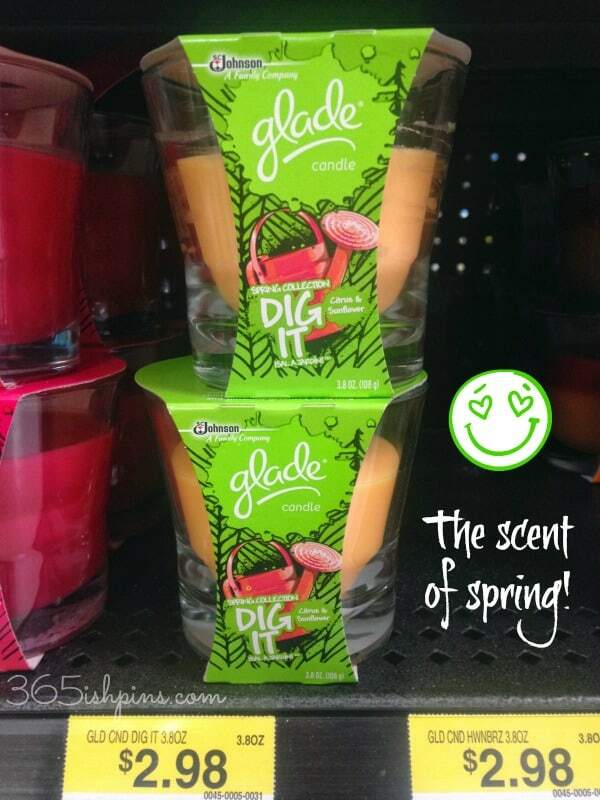 Plant new flowers in your flower beds or buy some potted plants. Just surround yourself with color! The winter doldrums can hit anyone. The short days, cold mornings and days of endless gray may have you feeling a bit low. 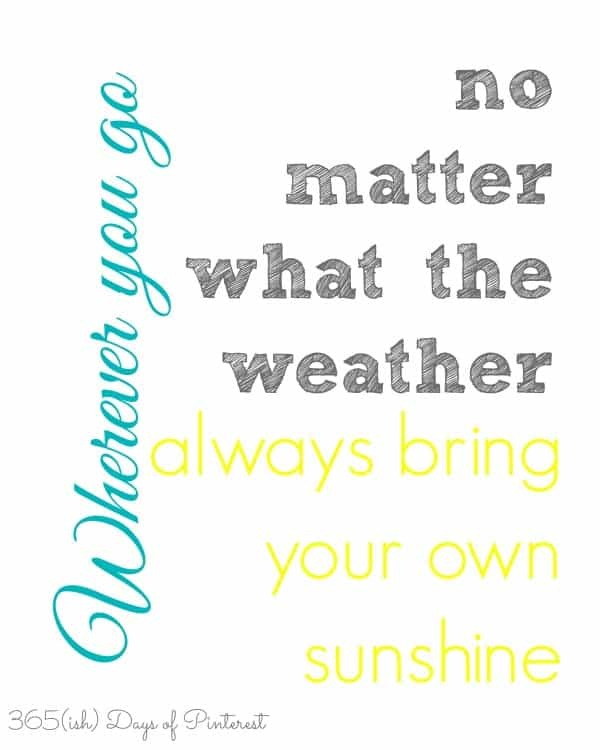 As Spring arrives, go outside, soak up the sun and choose to be happy. And just in case you feel like you’re trapped in an endless winter, I made something for you. Print this out and frame it as a reminder not to let your environment affect your emotions. To download this as a printable, click here for a watermark-free version. What about you? How do you transition from one season to another? Do you have an tips for swapping out high calorie foods and drinks for lower calorie ones? Which one of the four sodas would you like best? Personally, I’m a big fan of A&W Root Beer! Wonderul collection of ideas for lightening things up.